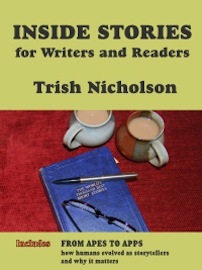 Complementing my daily blog interviews, today’s Author Spotlight, the eighty-first, is of non-fiction and short story writer Trish Nicholson. A writer and photographer as well as an anthropologist, Trish had careers in regional government, management training, university tutoring, research, and finally, travelling the world to work on aid and development projects. A compulsive scribbler, during those years her writings included a monthly column, and feature articles for national newspapers in UK and Australia, as well as books on anthropology, management and tourism. Trish enjoyed writing non-fiction, but she feared that the storytelling of her childhood was lost forever until she settled on a hillside in New Zealand twelve years ago, where she now writes full time and is a member of the New Zealand Society of authors. Encouraged by a few wins and anthology publications, she is working on her storytelling skills which she believes are equally important for writing non-fiction. She applies this creed to her weekly blog posts which include stories, reviews, travel tales and photo-essays as well as posts on writing. Last year, Trish signed up with Collca to write for their new ebook series, illustrated BiteSize Travel, which allows her to indulge her passion for photography. Masks of the Moryons: Easter Week in Mogpog, was released in December 2011; Journey in Bhutan: Himalayan Trek in the Kingdom of the Thunder Dragon, was released on 20 April 2012. Aspiring writers are told, ‘write about what you know’, so I suppose I should be grateful for having had a varied life, but it wasn’t only travelling as an adult that broadened my experience, my childhood was survived against a background of constant change. By my teens, we’d lived in as many homes as I’d had birthdays. The downside, apart from favourite books being ‘lost in the move’ ­– a family catch-phrase and favourite explanation of all things disappeared – was being always the new girl at school and a perpetual ‘outsider’. Much later in life I discovered this could be a distinct advantage to a writer. With friends ‘lost in the move’ so often, I invented my own companions, having long conversations with them under the stairs, in the bathroom, behind the chicken shed, anywhere I could get away from adults’ flapping ears. Our squabbles and adventures were my first stories, told to my dog Sebastian who sat on the floor beside me, enthralled by every word. But stories were soon knocked out of me at school: I learnt the hard way about genre and knuckled down to write essays on the industrial revolution, and the mating habits of dogfish. My choices at university ­– anthropology and geography with a side serving of psychology – brought further discipline with the need to check and cite authorities as well as generate original material, but I loved every minute of it; the pattern for my future was firmly laid. While still at school I had sent a letter to New York: ‘Dear United Nations, I really want to work with people in foreign countries when I grow up. Please tell me how I can do this.’ Some kind soul on a long tea break replied to me, saying I should gain qualifications in almost any subject that I enjoyed, spend about 20 years gaining experience in that field, and then apply for overseas positions. And that is more or less what happened. The ‘moving’ became a permanent feature of my life, going from university to various jobs in the UK, in Europe, and finally to the Asia-Pacific region and beyond, to a score of countries. I paused for a few extra years in the Philippines to complete a PhD in applied anthropology, but travelling and trekking anywhere I hadn’t been before became my practice when not actually working. Inevitably, ‘outsider’ status became permanent as well. It sounds like a Zen mantra, but distance brings you closer. Detachment is essential for research, journalism, travel and other non-fiction writing; not that any writer can entirely avoid subjectivity, but being aware of it leads to better balance. In seeking ideas for fiction, too, detachment can enliven all your senses: outsiders notice more. People also talk to lone travellers more readily. Whenever anyone sits next to me on a bus or plane they inevitably tell me their life story – a writer needs to be such a fly paper; it makes for stickier stories. I loved that, thank you, Trish. You can find more about Trish and her writing via…her website http://www.trishnicholsonswordsinthetreehouse.com (and she really does have a tree house). She is also on Twitter @TrishaNicholson. Her latest travel book, Journey in Bhutan: Himalayan Trek in the Kingdom of the Thunder Dragon, pictured above, is available on Amazon US, UK, and other e-retailers, for further information and to read the Preface to the ebook go to http://collca.com/jib. Masks of the Moryons: Easter Week in Mogpog is available from http://collca.com/motm.